Firstly, a disclaimer. 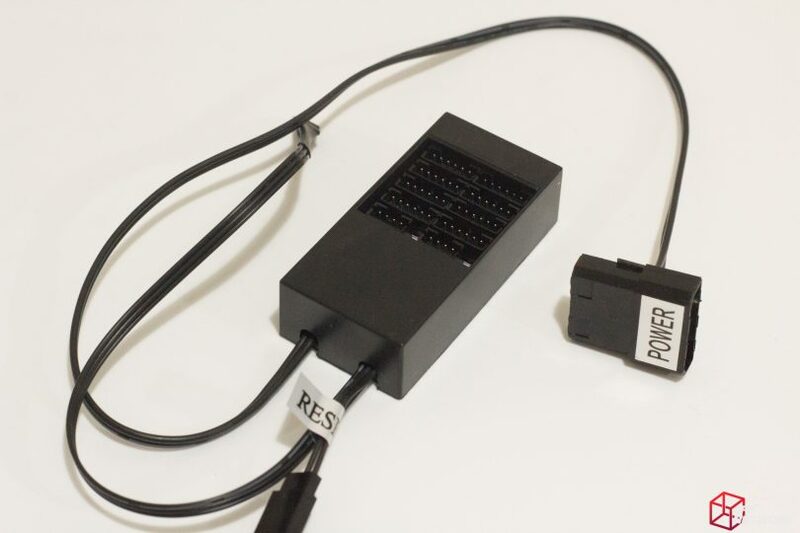 While it may seem like this review comes about a bit too soon after my ‘RGB can be ok’ rant, this review item was not a sample provided by the manufacturer, and thus the rant was not just me redacting my opinions so that I could get a freebie. I legitimately purchased this product for my own use, and have chosen to review it. I just wanted to play with shiny glowy things, ok? With that out of the way, on to the review. So, you’re building that awesome system to please your eyes and blow your mind, but are lacking that final touch? 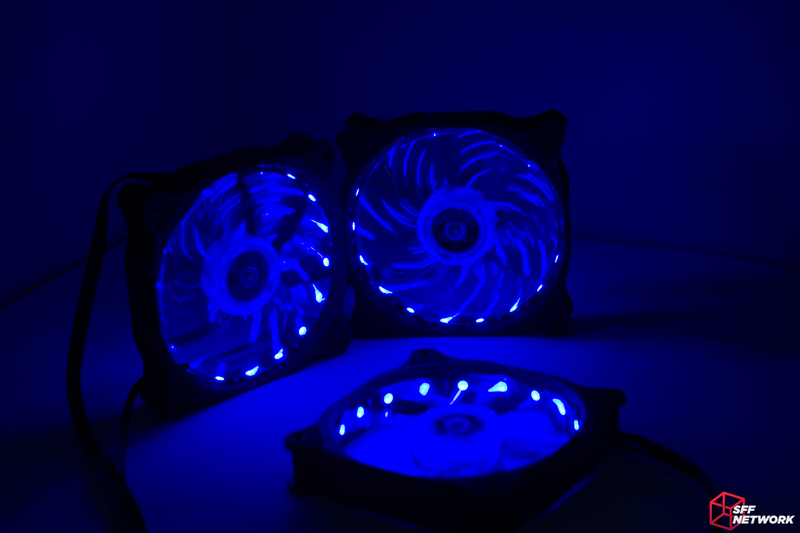 How about some RGB fans? 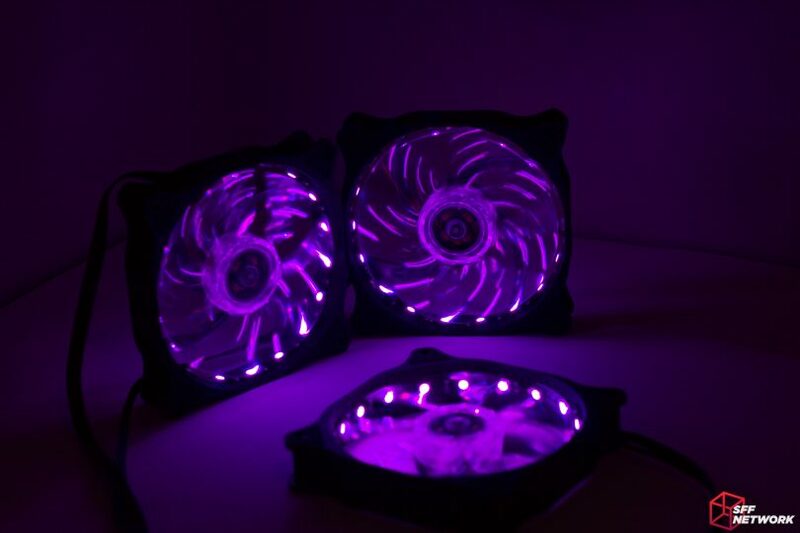 Is it worth joining the hype to add to complete the aesthetics of your build? 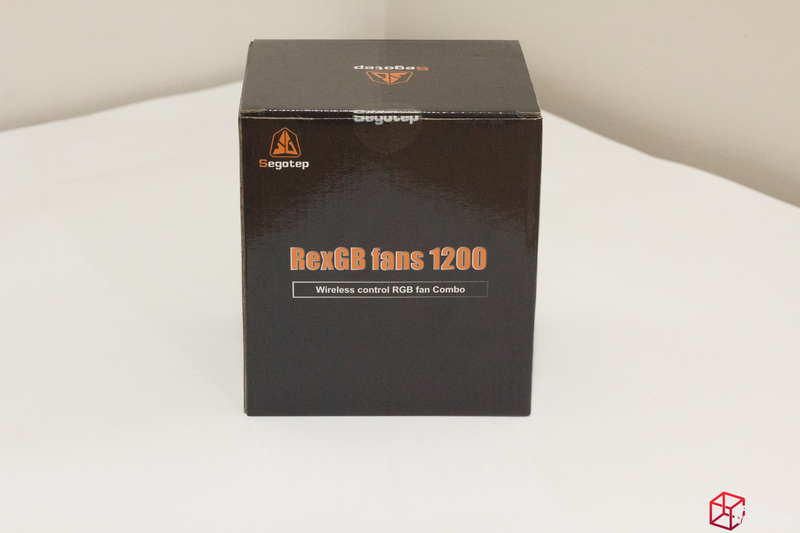 I don’t know, but read on to see if these particular fans would suit you. So, nothing really to write home about. 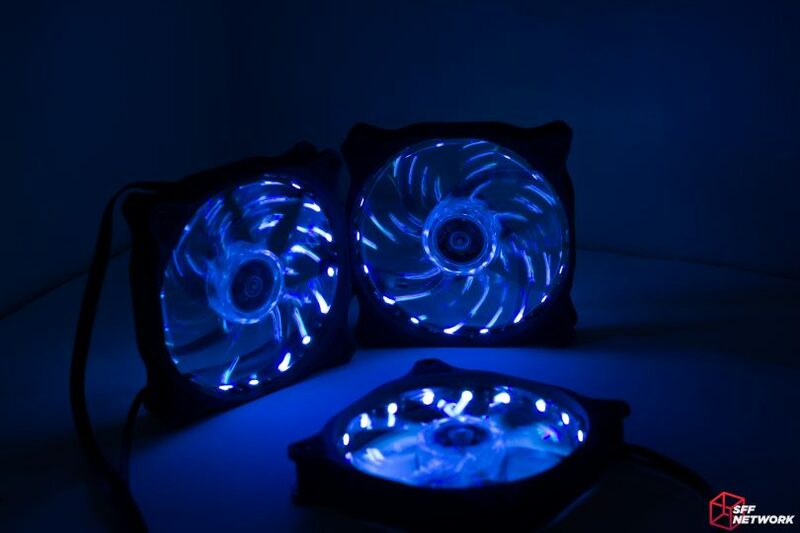 Just generic fans with LEDs. To be honest, at the NZ$28 (US$20) I paid for this pack, I expected no more. This product off special is NZ$39.94, so around US$28.50. Not much to say here, except there is very little information on the box. This shot covers all of the information the box has to give – very little. No specs, website link, nothing! 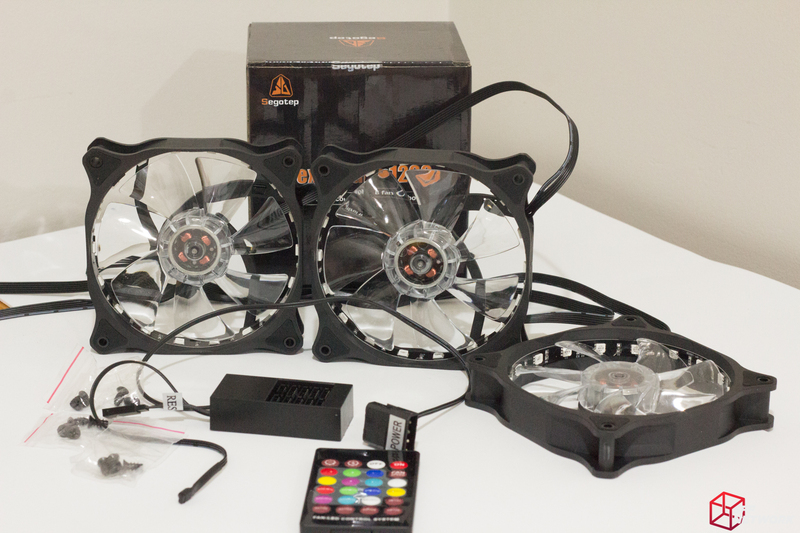 The scope of delivery here – one box, three fans, a control box, a remote control and 3 baggies of fan screws. No vibration dampening mounts, no stickers, not even a user manual! 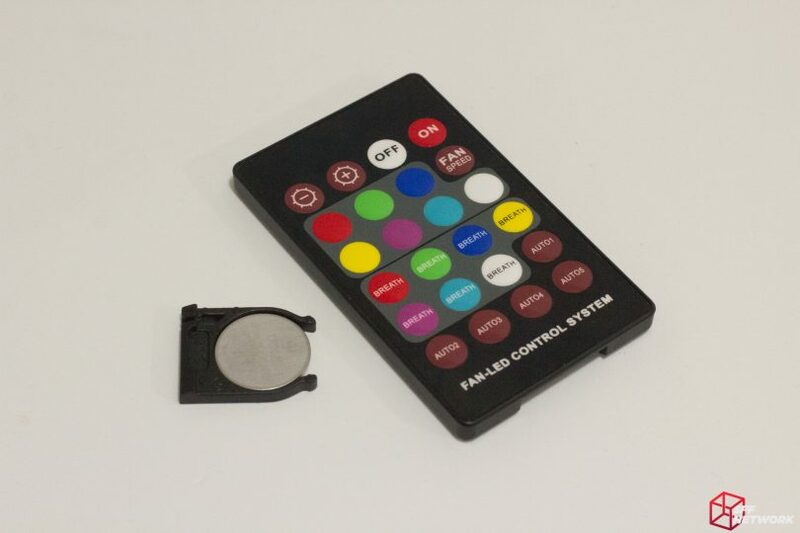 The remote control is relatively generic for RGB – multiple modes, including auto modes. I’ll say it right now – don’t use the auto modes unless you are hosting a RGB booth at a trade show. The remote is the typical credit card style, using a CR2025 battery. The battery tray, as always, was difficult to remove. This is the control box. The box can control 8 fans and 2 RGB strips up to 12 Amps! On the back of the control box is a pinout diagram (fantastic, considering the plugs don’t match any existing RGB system I could find). This is seriously all the instructions given with the physical product.There isn’t an instruction manual on the website either – not a good look Segotep! Here we see one of the fans in detail. 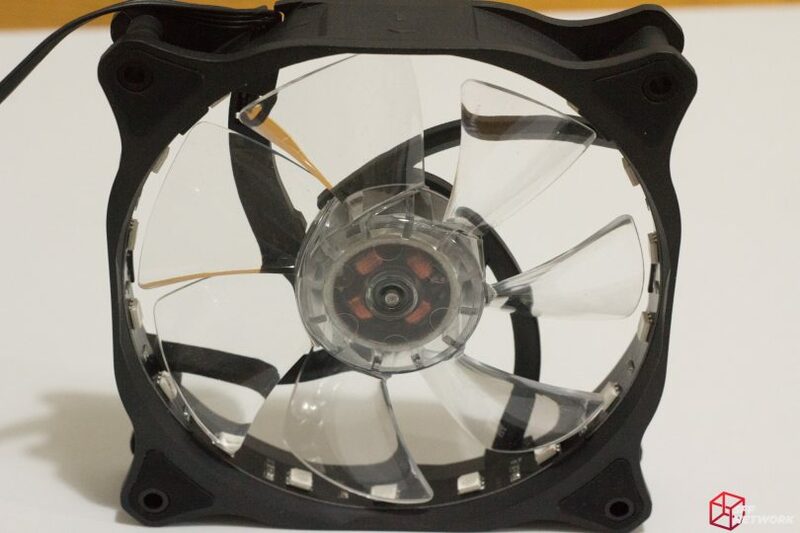 Due to the nature of the LED strip used for this product, there is a sizeable gap between the frame and the blades of the fan – this probably reduces the static pressure of this fan. The LED chips stick out a bit too, but I didn’t notice any auditory anomalies caused by this turbulent flow path. As the blades are clear, we can see this fan uses a regular 4 pole motor. 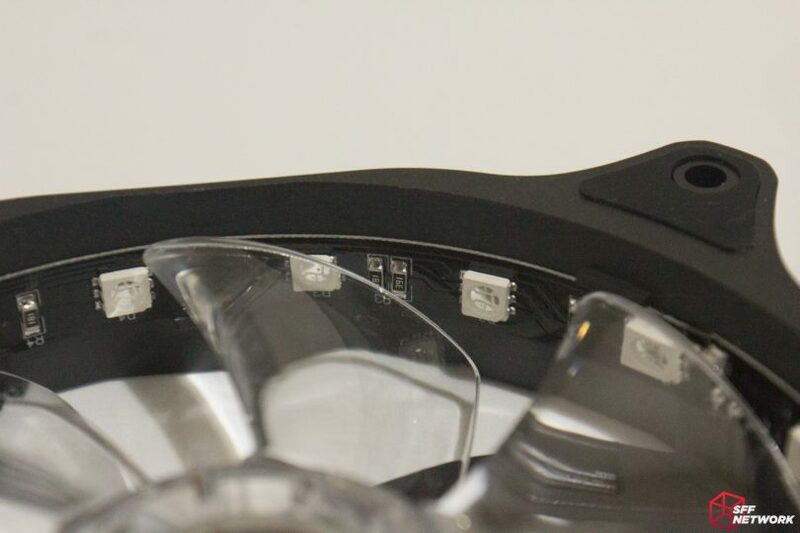 On each corner of the fan there is a very thin rubber pad as a simple attempt at vibration dampening. 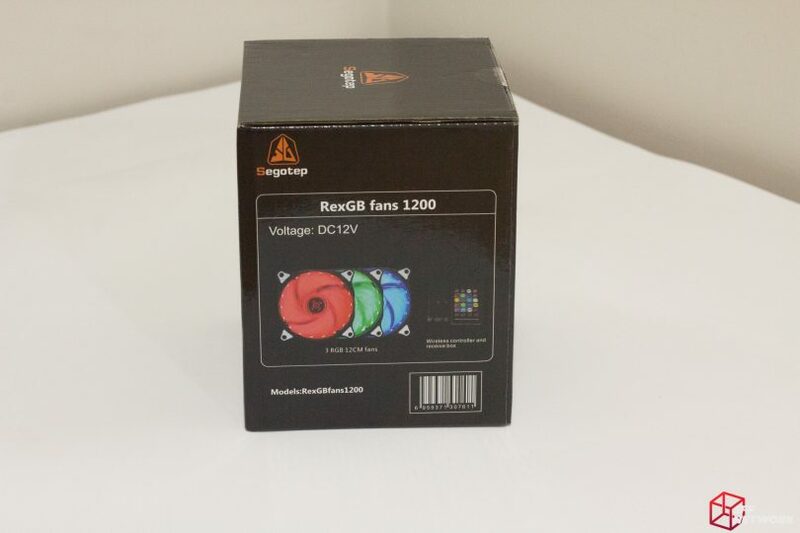 Two wires – yep this is a voltage, not PWM controlled fan. On this note, there is no link between your system and these fans. 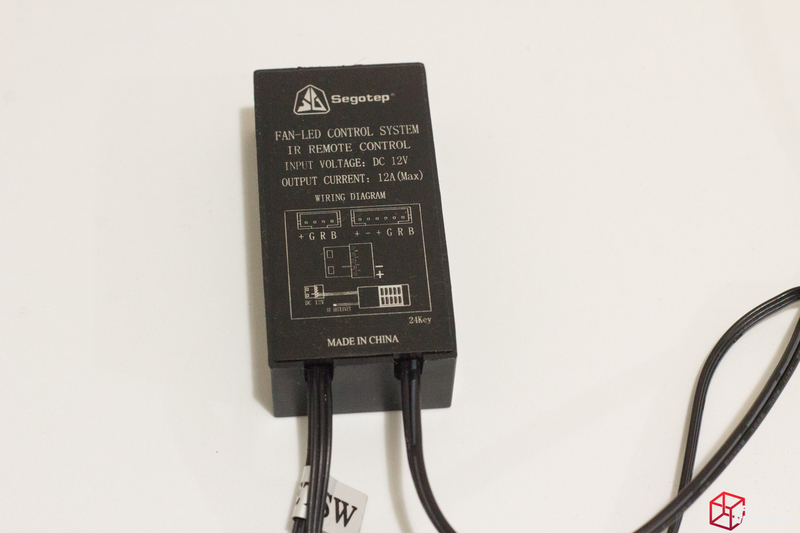 This means any fan control is done manually by you. Purple/Magenta. Of all the colours that this product can produce, it is this that I find to be the nicest. White. The white mode is very blue, a tradeoff from using RGB, rather than RGBW led modules. And with the fans off. 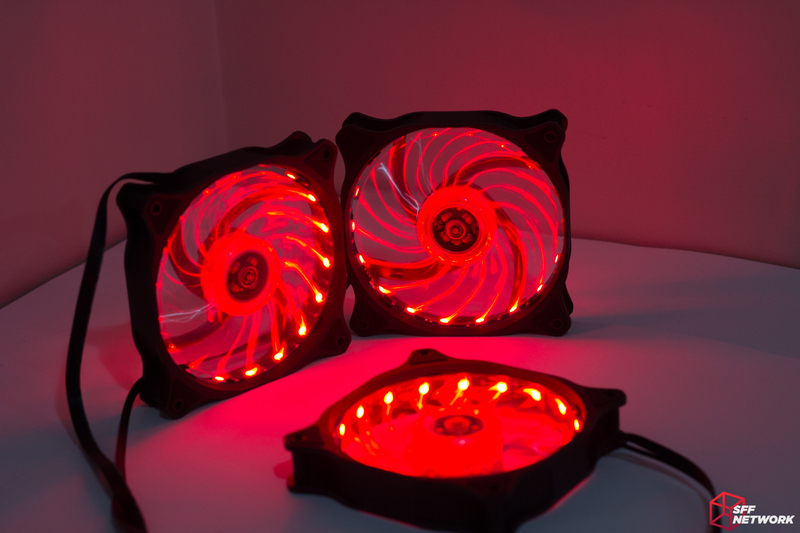 Fan control doesn’t work when LEDs off. 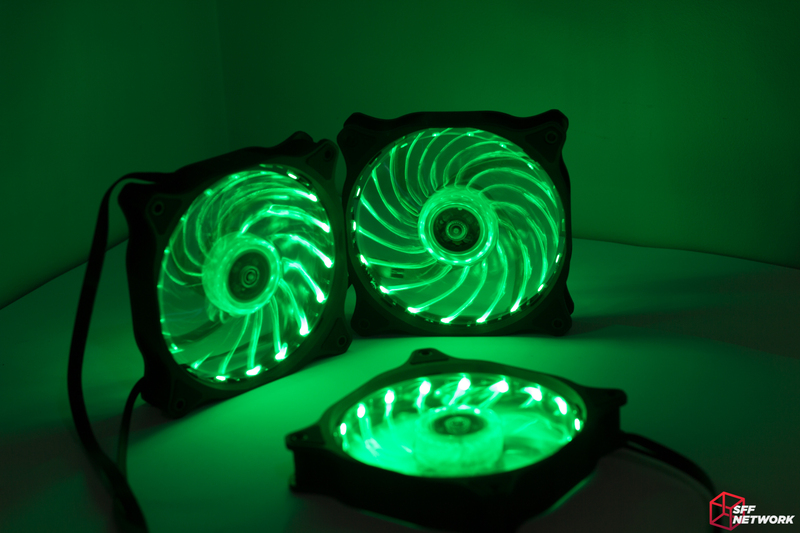 You have to turn the LEDs on to change betwen the two fan speeds – full and reduced speed. Does appear to have memory – powering off the box doesn’t reset the previous setting. 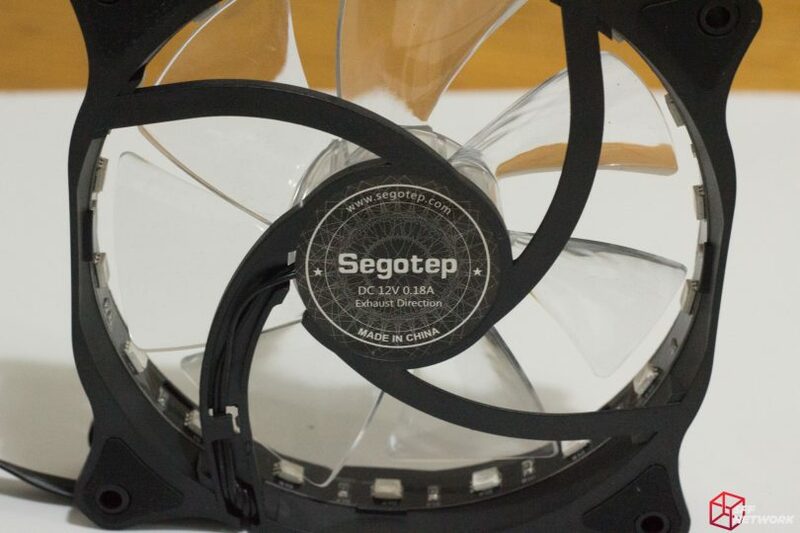 Fan speeds are different between each fan – a result of manufacturing tolerances. LEDs are PWM controlled and thus strobing effects are seen – a negative side effect of the above manufacturing tolerances can be seen here. Yellow is greenish, and the white is blueish, due to RGB leds rather than RGBW. Don’t use auto modes unless you are hosting a booth at CES! All auto modes are distracting and not at all appealing. 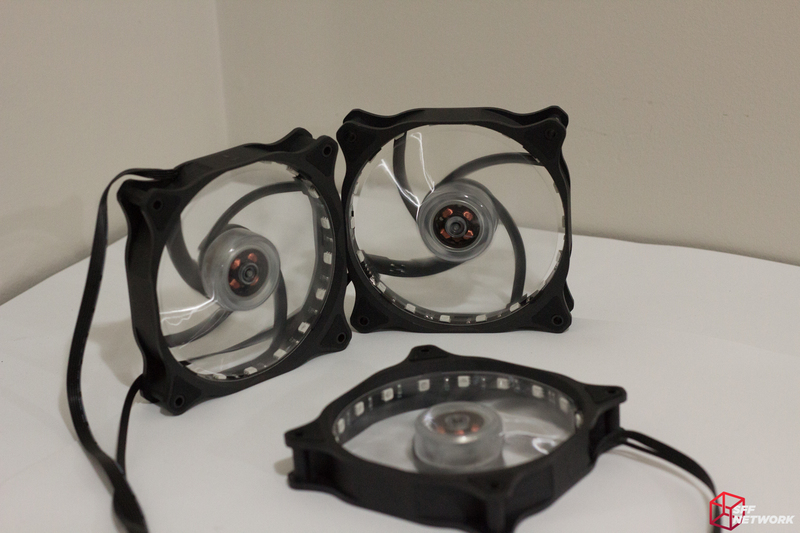 The fans are ball bearing, so do have noticeable bearing noise. However they are still quieter than 99% of low to mid range fans that I have tried to date. 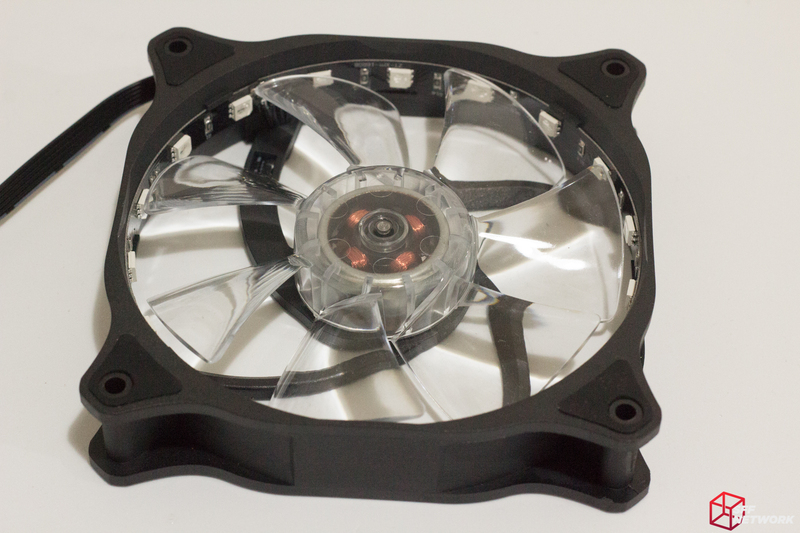 Airflow is mediocre, but that is a product of the low (1200 rpm) max speed. Limited availability. I can’t find this product on Amazon.com or Newegg. It seems that it may only be available in China, or via PBTech in New Zealand. 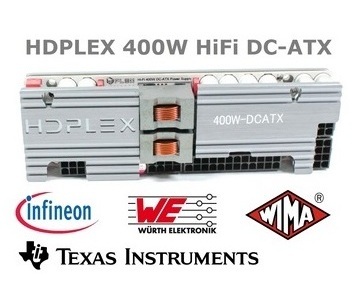 So, is this product worth it? Ehhh.. I’m not so sure. If you’re just after airflow, get better quality generic fans for the same price. The LED choices do add some individuality to your custom build though, and if this is your goal, go for it. It’s a personal choice, and there shouldn’t be a blanket No or Yes to RGB for builds, just personal taste. The build quality is middling, and there are some foibles as noted above. For build, features and value for money, I can give this product a solid six out of ten, but as for whether you should buy it, if you can find it, I can’t say either way. Your taste may vary. 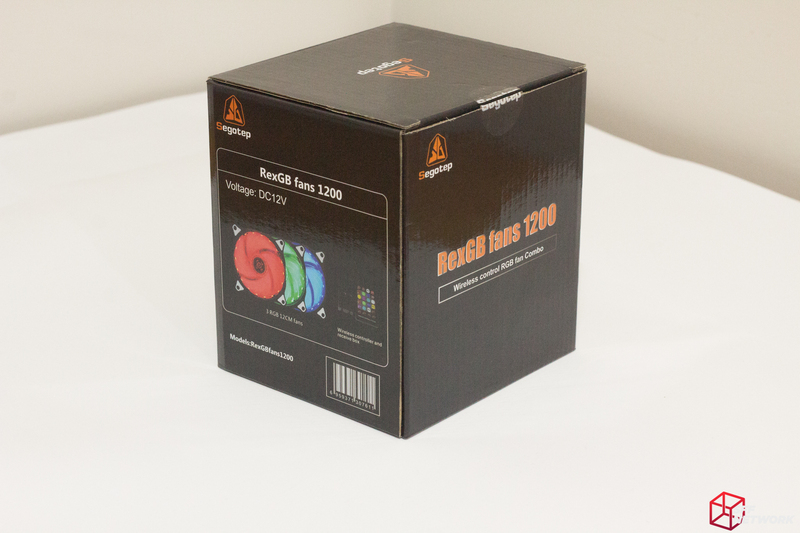 Still hating on RGB? Loving the pretty shininess? Let us know here.